It takes more than conventional building construction to overcome all obstacles. Traditional building solutions with joists, for example, are limited to planar trusses in an array and work in only one direction on level ground. Solutions with machined joints, such as ball-joint systems, are expensive and must minimize the number of nodes. 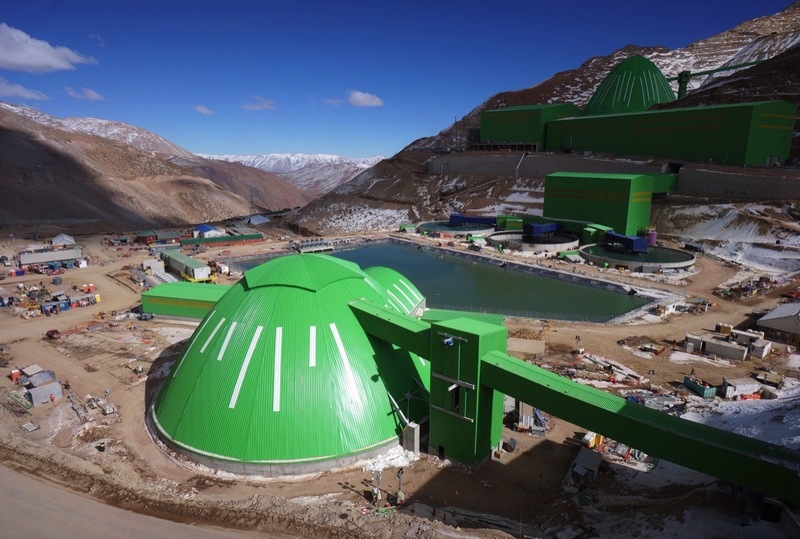 In Chile, a second Freedome will soon be covering another coal stockpile. 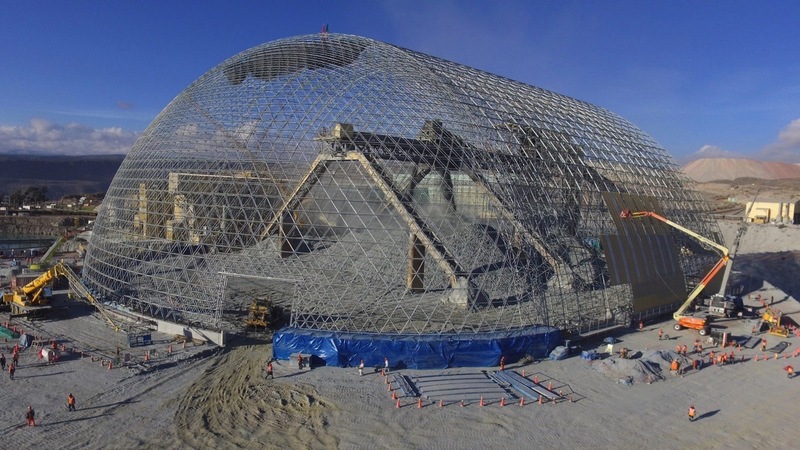 Geometrica solves all of these issues with a freestyle, geodesic dome that can enclose irregularly-shaped stockpiles on any terrain. In fact, the company’s solution is even trademarked – Freedome®. This very strong superstructure can span 300 m without any interior columns. Constraints from conventional building methods are released. This Freedome spans over 200 m – without any indoor columns. 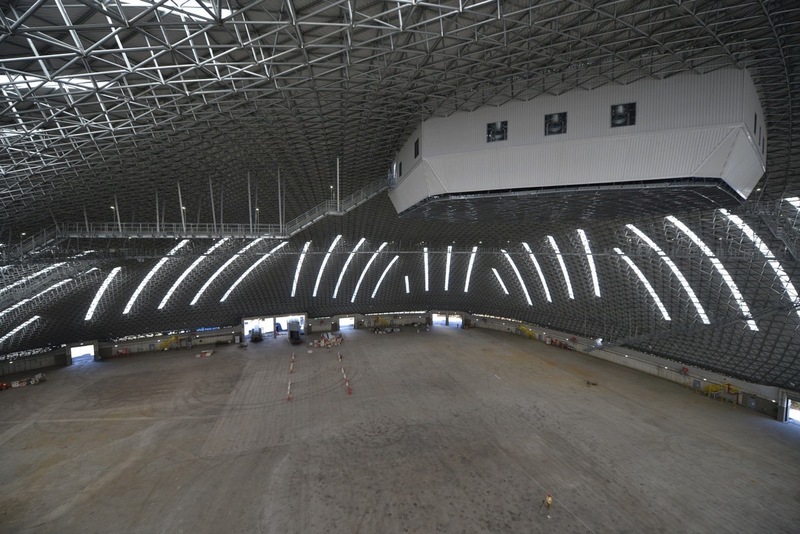 Geometrica’s technology evolved from gridshell innovations originally developed by its forefathers in the 1960s — today, Geometrica domes can be designed with a non-circular plan in varying curvatures for complete design freedom. “This unmatched expertise, refined and updated, now covers some of the world’s largest stockpiles,” the company says. There is literally an infinite number of possible design plans for a Freedome structure. For instance, just like Geometrica’s circular domes, Freedomes may have lamella, keiwitt or combination patterns with a single or double structural layer. Once the geometry and support requirements are defined, Geometrica’s engineers can propose the most efficient patterns and layer options for an enclosure. Whether rock fill, sand, clay, gravel, bauxite, coal or mineral ore, all of Geometrica’s designs can accommodate existing operations seamlessly. Clearances needed for vehicles or equipment, personnel access, and maintenance requirements are readily accommodated during design work. The “lift-in-place” assembly method is used for domes and vaults. 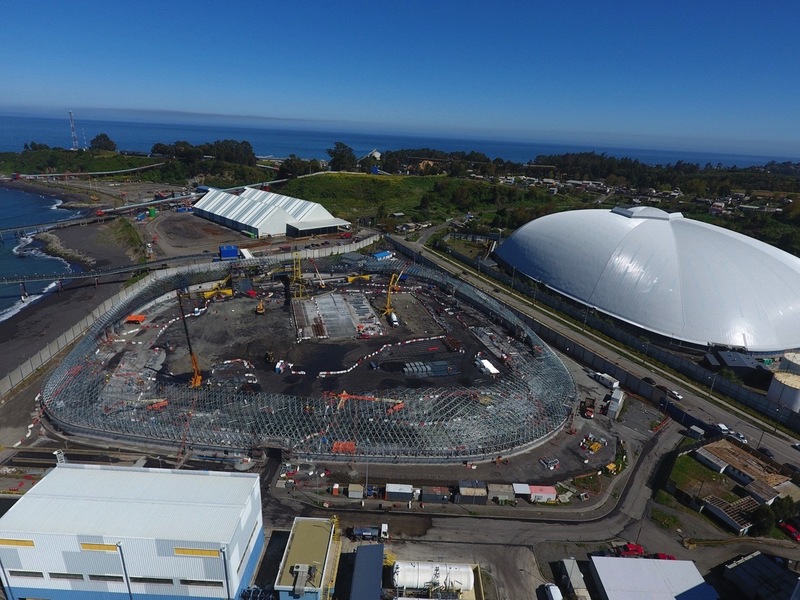 Excellent strength-to-weight ratios make Geometrica’s domes the go-to solution for storing bulk materials, especially in the most challenging locales worldwide. And, the company understands that many stockpiles must remain in operation while being covered too. Geometrica offers three different assembly methods – lift-in-place; perimeter self-supporting; and center-out. The option ultimately utilized is determined by the specific site requirements, operational requirements, as well as the structure’s design. This stockpile did not stop operations during Freedome installation. 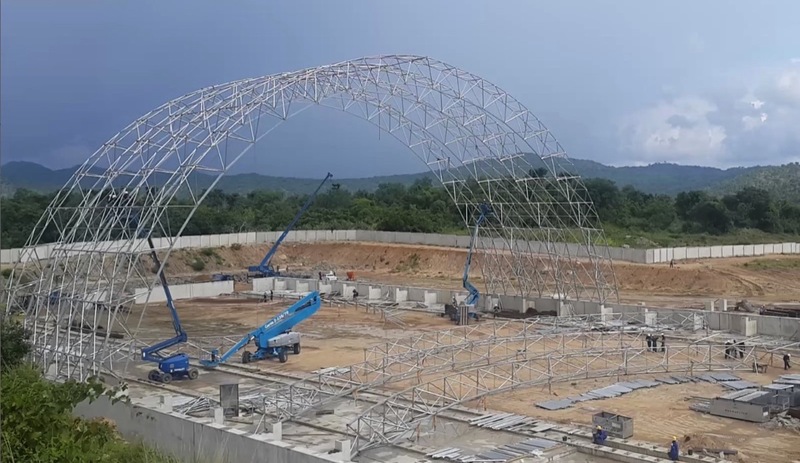 Stockpiles can remain in operation while being covered and it can be accomplished safely, rapidly and economically without heavy machinery, scaffolding or welding. Reduced time, labor and equipment also equates to a lower total cost of installation. Hundreds of uncovered stockpiles still exist worldwide and can benefit from Freedome technology. Regardless of geography or climate, Geometrica designs domes that deliver both business- and eco-friendly solutions. Geometrica believe that industry and nature can coexist on some of the largest scales imaginable. High winds, punishing snow loads, and torturous slopes at 4000 m above sea level in the Chilean Andes.